This last month saw a variety of shoots that are adding to and expanding the ASL video production repertoire. 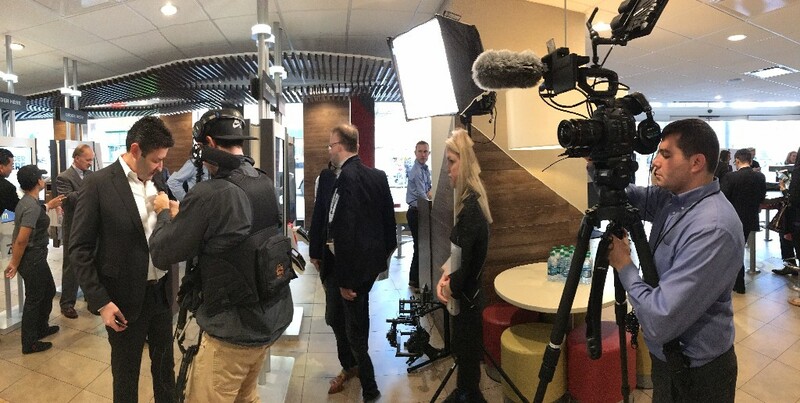 Our projects ranged from a shoot with McDonalds showcasing their restaurants of the future to producing a social media campaign with J.C. Penney in collaboration with Dancing with the Stars Judge, Carrie Ann Inaba and New York Jet, Eric Decker. 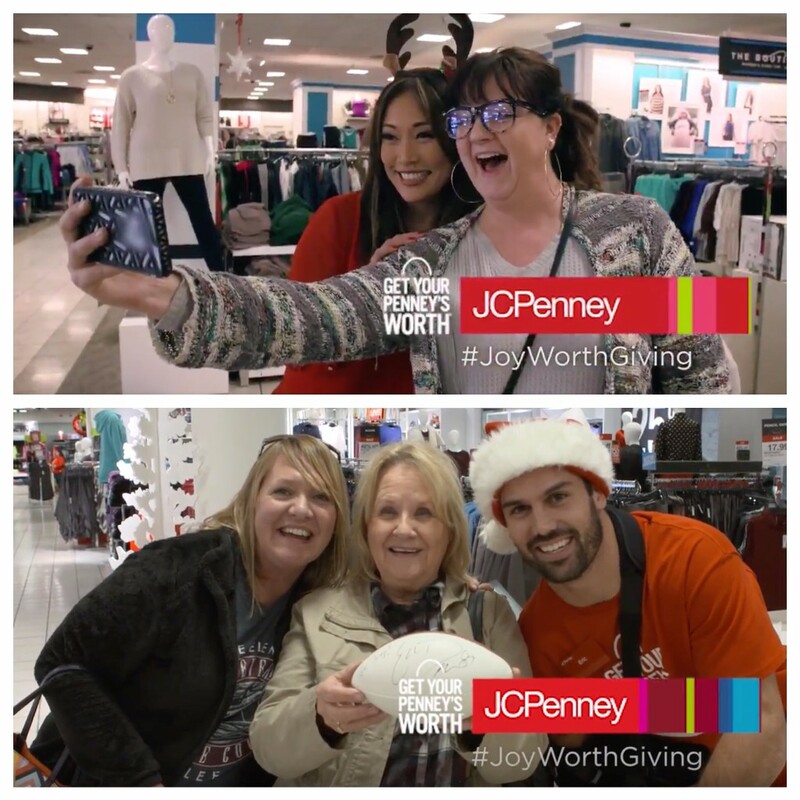 ASL traveled to Los Angeles and Nashville to work with Inaba and Decker on their J.C. Penney campaigns. We filmed them in disguise at the register adding gifts to unsuspecting customers. After capturing customer reactions, our celebrities revealed that their gift additions only cost one penny. Carrie Ann’s video has already been released on her social media and you can see it by clicking this link. 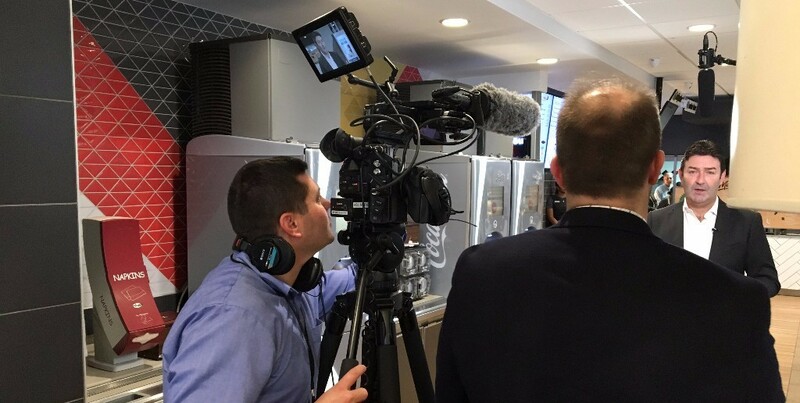 Our video production shoot with McDonalds showcased the design of their new restaurants and the features that make their locations more technologically savvy and customer friendly. 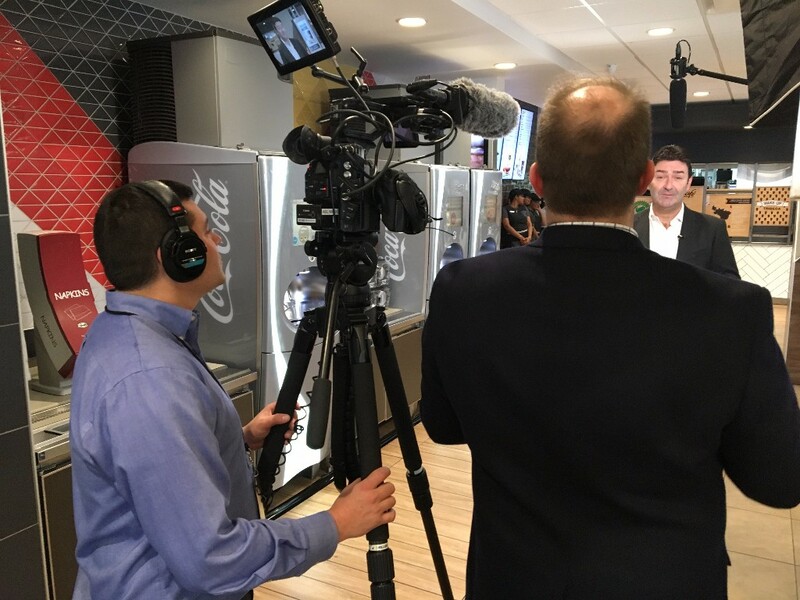 Below are shots of our interview with the CEO of McDonalds, Steve Easterbrook. 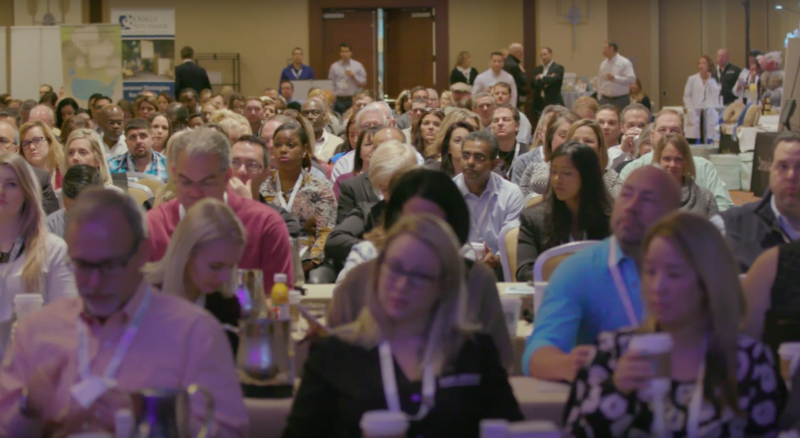 ASL covered MADE 2016, formerly AD Tech, to shoot their national conference in New York. We highlighted innovations in the world of advertising and marketing, including how virtual reality is burgeoning in the advertising industry, as well as, how cars are the “new frontier” for marketing and advertising. 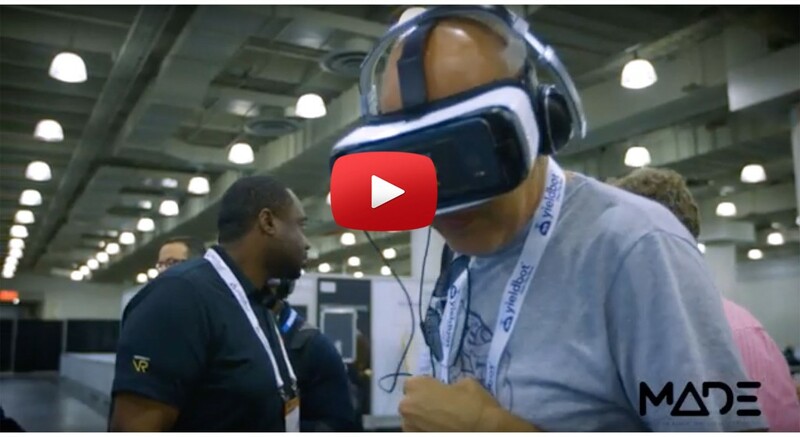 Our MADE 2016 sizzle showcases much of the innovation from the marketing and advertising convention. The national spa franchise, Hand and Stone, and ASL have had a long standing relationship. When they asked us to cover their owners conference in Philadelphia, we were eager to participate. 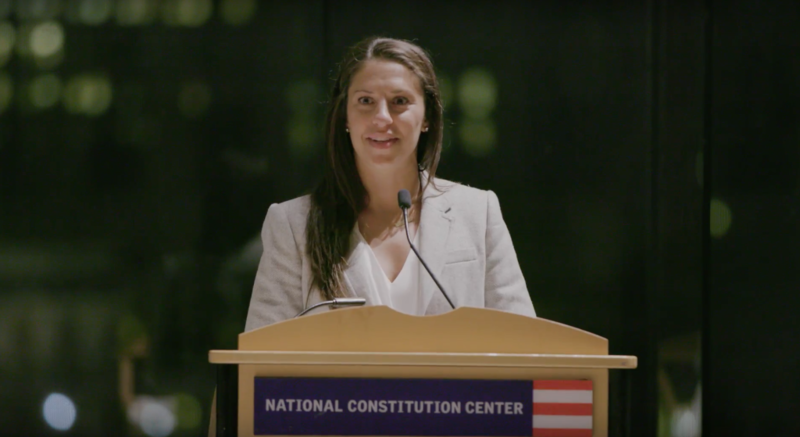 The annual event covered all new products and business practices by the franchise and showcased keynote speaker, US Women’s National Soccer Team player, Carli Lloyd. The one downside to the last month was that our brand new Canon C300 Mark ii was stolen. Luckily, we had insurance and it covered our camera. We took the opportunity to write about it to warn others and share our experience. You can read about our video production woes in Love and Loss here. Don’t forget to check out our website and read our blogs for some tips of the trade. ASL is here For All Your Video Needs. Keep in touch, email us at contact@ASLProductions.com or get social on Facebook, Twitter, Instagram or our website @ ASLProductions.com.